I’ve had this bunch of rosemary from our garden hanging up to dry for longer than I care to mention. I love rosemary, but I don’t enjoy the large chewy pieces of fresh rosemary or the dry whole pieces that seem like they stab the inside of your mouth. Wah! I just wasn’t sure what I wanted to do with it. Today, I thought it would be nice blended up with some salt for sprinkling over popcorn, veggies, or potatoes. 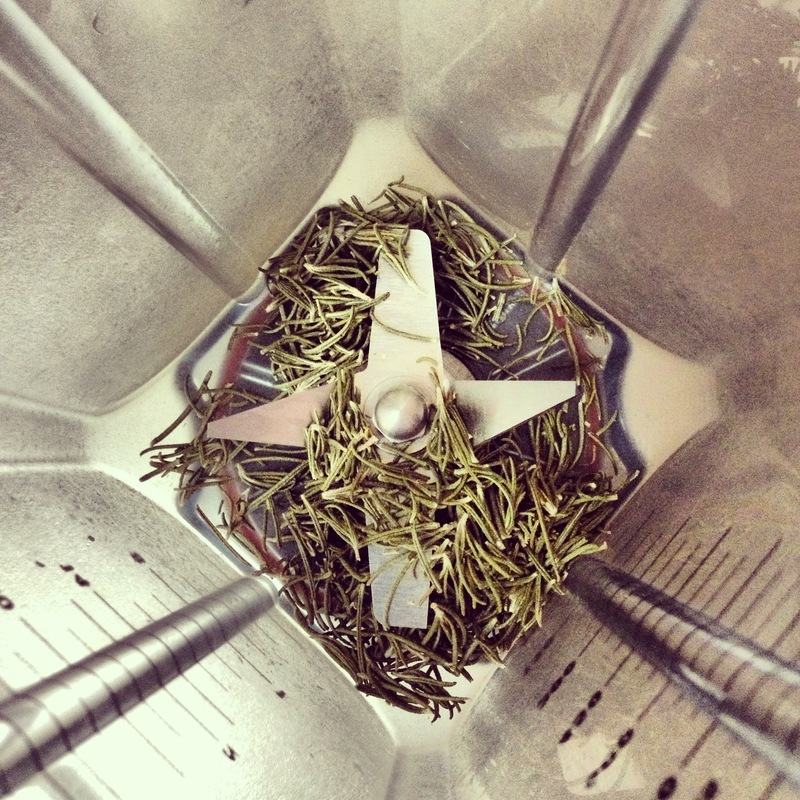 Remove the rosemary from the stem. 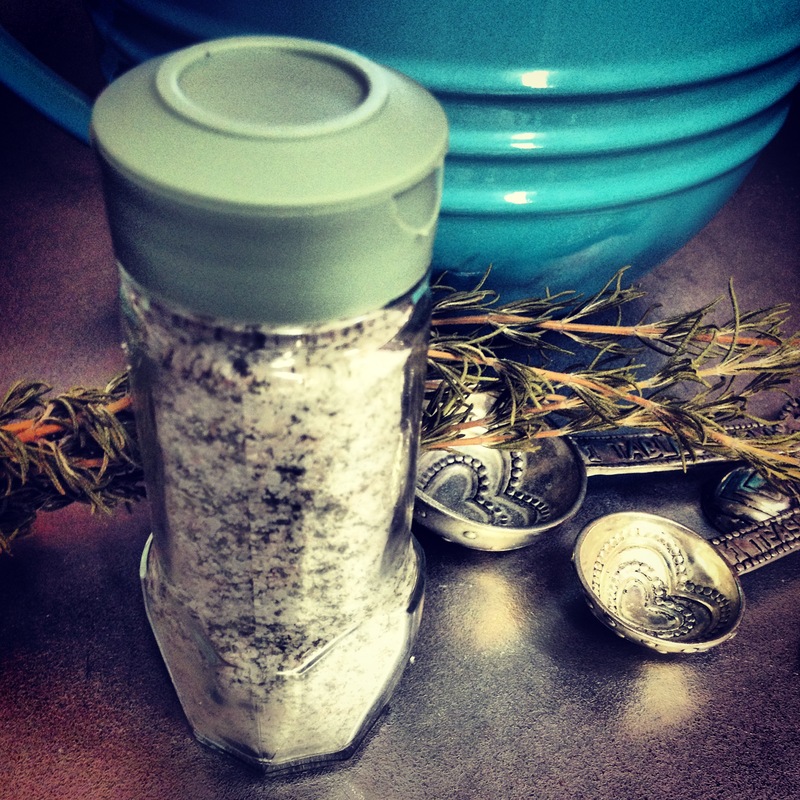 Put the rosemary into a food processor or spice grinder and blend for a minute or so. I use a Vitamix dry container for this. 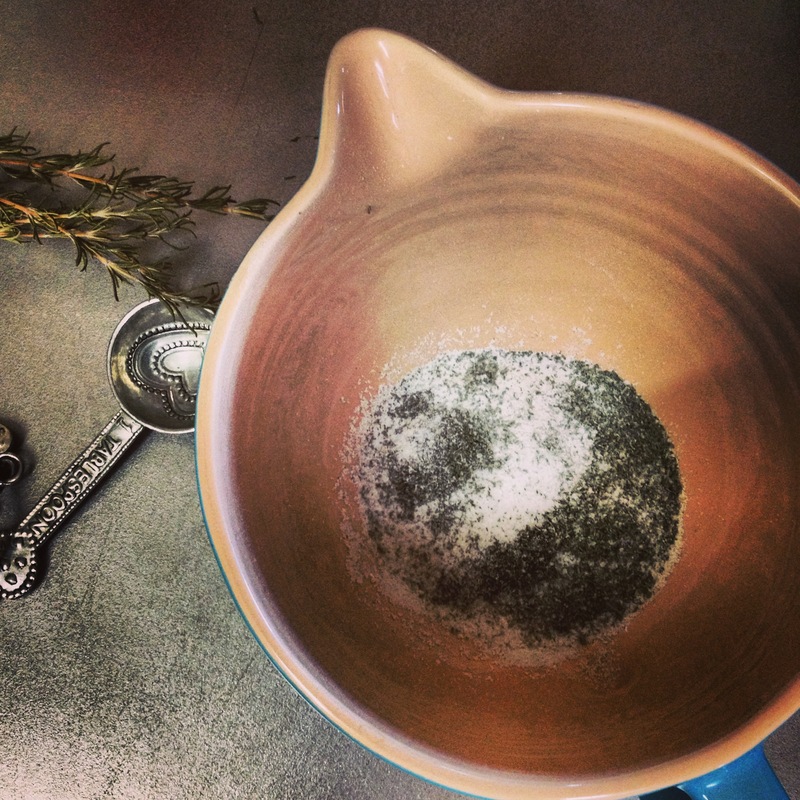 Add your salt and give it a 1 second whirl to mix the salt and rosemary together. Store in an air-tight container for up to 1 year. I like to reuse my old shaker spice jars for storage. 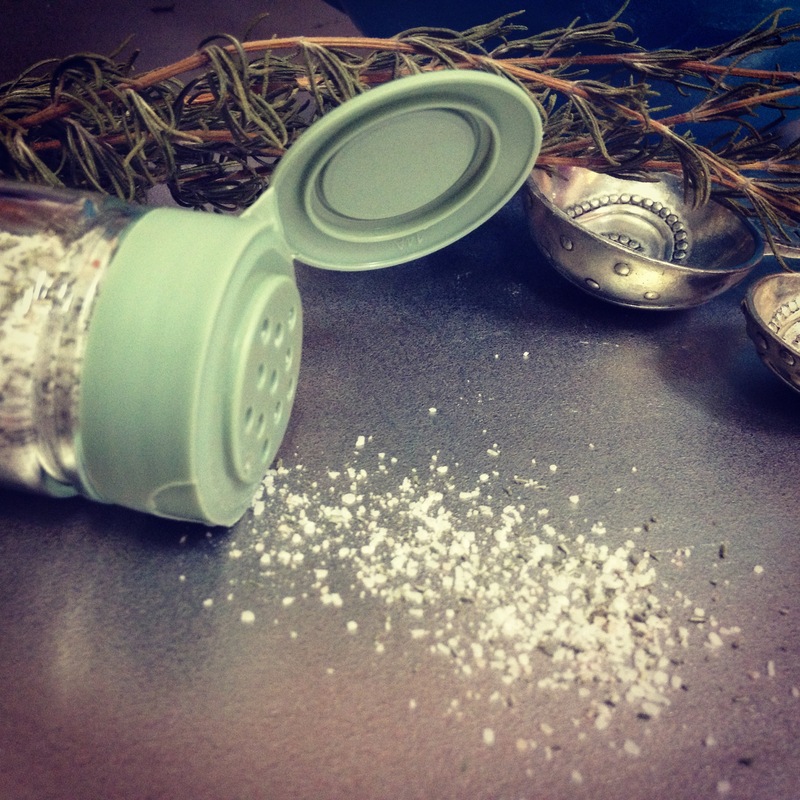 This entry was posted in Food and tagged DIY, Flavored salts, Rosemary salt.